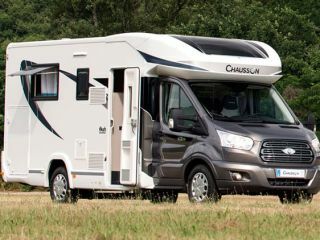 You do not pay a camper per meter, so why not a large, spacious young camper for a competitive price. It is not always good weather, a bit more space is so relaxed. To drive with Rijb. B. Because of its more than complete equipment and delivery service, your holiday will be more than Van-tastic. 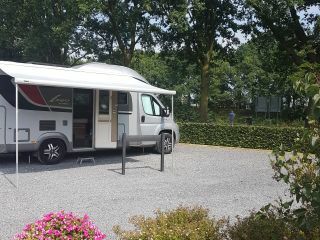 Rimor automatic (2016) with Renault Master chassis, 150 hp, 7.5 m, Euro 5. 7 Seat belts on license plate. Delivery service € 50 vv & € 0.23 per km Residence - Utrecht vv (mandatory). Free delivery service. Km free. from 3 weeks, you only pay the fuel from Utrecht. Air conditioning in camper section. TV. Automatic dish with Ned. channels to southern Europe. 220 v Power even if you are not at a power outlet. Service battery & solar panel. 2 Pers. bunk bed behind, (220 x 90 cm). 2 Pers bed after conversion dinette, (185 x 130 cm). 1 Pers. after conversion bank / dinette, (145 x 60 cm). 1 Pers. after conversion front seats (170 x 70 cm). Control panel for content water tanks / electricity etc. Spacious garage for storage, for example for chairs, table, etc. Storm bands + pegs for awning. Duvets, bed-, bath- and kitchen-linen not available. If desired, available as a package. A. Package: Duvet, pillow, cover and fitted sheet 7 persons € 95 per package. B. Package: 7 towels large, 14 small, 7 washcloths, 4 tea towels, € 65 per package. C. Portable generator, 2000W, (10 Euro pd). 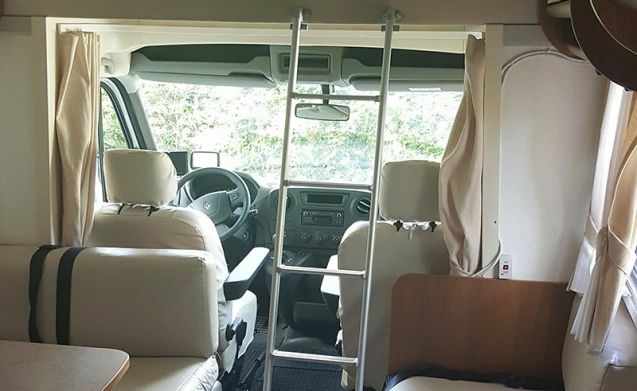 We also have two 7 Person Campers brand Rimor. Autom. from 2018 & 2014. Look under 8 sleeping places. Large, furnishing and accessories are identical. Under the applicable conditions, the conditions of Goboony take precedence and ours are an addition to this.